Stellar Windows Recovery is a very good data recovery application, and with the addition of some more advanced features could be great. Stellar Windows Data Recovery v7 Professional is a solid option to salvage lost or deleted files from a hard drive, especially if you’re a less tech-savvy kind of user. But its higher price and relatively basic scanning options may not be the best for more extreme users who demand the most out of their recovery suite. So, is this software worth the price of entry, or can you get everything you need out of it from the free version alone? Read on in our Stellar Phoenix Windows Data Recovery Professional review to find out! Getting Stellar Phoenix Windows Data Recovery v7 Professional downloaded and installed was a very simple process. From the company’s download page we simply found the file we were looking for and got it loaded onto the test PC through the setup exe. Once we had the program installed, it was time to get it activated through the app itself. We copied in the license code provided after purchase, and the program was able to register itself on its own, all without opening any extra browser windows in the process. Or the option to look for “All Data”, which groups all the previously mentioned categories into a single master-scan of the entire drive. Every aspect of the user experience in Stellar Phoenix is meant to be as user-friendly and foolproof as possible, boiling down what can sometimes be a complicated technical process down into its most essential parts so they’re easily understood. Although I generally appreciate when a company can make more complex maintenance tasks easy for the layman user, I have to admit that the process from the home screen to starting a scan may have been a bit too easy. There’s not really a lot of customization choices as far as what types of files you want to look for specifically, outside of the rough genre types that Stellar provides at the start of the scanning process. Personally we’d like the option to scan for one file name or type in order to cut down on scanning time overall, though it’s still nice to have a catalog of everything that’s been deleted off the drive in case there’s an old file you forgot about that’s making a second appearance. Once the scan is completed, you’ll be presented with tree-style list of all the files and folders that were found, as well as a nice little feature which lets you preview deleted files (or more specifically in this case, deleted pictures), before you decide to recover them. You can also preview text files and the contents of any found .zip archives, which is another nice touch that definitely helps to elevate the experience of using Stellar above what you might otherwise find in this space. To test Stellar Phoenix’s data recovery capabilities, we stored (and deleted) five different file types ((*.exe, *.jpeg, *.mp3, *.zip, and *.txt) to see how it could recover data from an SSD, an HDD, and a USB flash drive. For the first test, I ran a basic scan on my 1TB Seagate 7200RPM to see what it could pull up. We recorded the length of how long the first scan took on our test system, which features a 7th-gen Intel Core i7-7700K 4.2GHz processor (overclocked to 5.1GHz on closed-loop liquid cooling), 16GB of DDR4-3000MHz RAM, a 256GB m.2 SSD, a 1TB HDD, and NVIDIA GTX 1070 GPU. It took just short of 1 minute 50 seconds from the moment we turned on the quick scan until it was finished, which, considering it was scanning the HDD, is actually quite impressive unto itself. On the SSD side of things times were even faster for quick scan, taking just around a minute before we were able to sort through all the returned results. 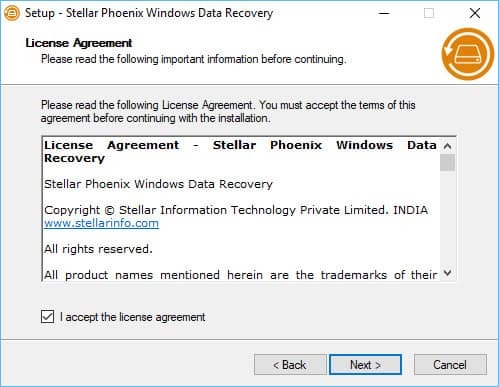 During the quick scan, Stellar Phoenix was only able to recover recently deleted files and folders that had been installed on the HDD since our most recent Windows build went live on the test machine, about three months ago. Anything beyond the hard reformat that happened prior to this installation was lost, only recoverable in a rudimentary form through the Deep Scan option. The deep scan we ran on a 1TB HDD took around 2 hours to complete in total, and only recovered a couple of scraps of data that were present on the drive before the write-zero pass format happened. While there aren’t many data recovery software options out there that can actually do much once a write-zero has been performed, we still would have liked to see a bit more information about the previous state of the drive appear once the deep scan had completed. Stellar Phoenix Windows Data Recovery comes in both a Free and Premium version. The main difference between the Free and Paid versions of Stellar Phoenix are the limitations to how much data you can recover, as well as the depth that a scan will go to to try and find files that were deleted through more aggressive methods than plain old Windows formatting. These all come with their own price points and individual feature upgrade paths. On the Professional side of things, you have two options: the standard professional lifetime license, which goes for $99, or you can upgrade to the $119 package that includes access to Stellar’s InstaBackup Gold service, as well as Windows Password Recovery. If you decide to go the Free route instead, you can recover a maximum of 1TB of files, and no one file can be more than 25MB in size. This is fine if you’re only grabbing a few lost photos here and there, but for any real files (or even videos), you’re going to find yourself needing to upgrade to the full version pretty quickly. No matter which package you inevitably go with, Stellar offers a 30-day no-risk money-back guarantee on all of its available products. 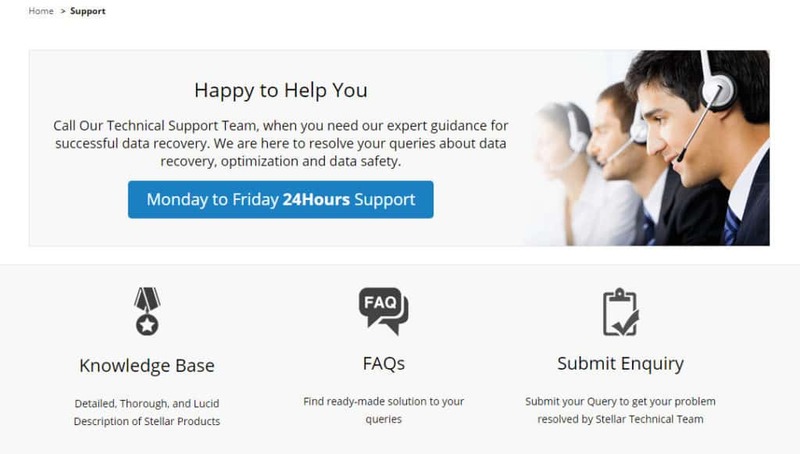 Stella Data Recovery maintains an extensive knowledgebase which answers most any basic questions you might have about the service or how it works, but for more complex issues Stellar products are supported by the company’s “24/5” helpline, which lets you call at any hour of the day, Monday through Friday each week. We called claiming to have a problem with the partition recovery aspect of the hard drive (an issue we were able to reproduce a few times unintentionally first), and it took about three minutes and two menus before we were connected to a live representative. The representative understood the problem we were having immediately, and seemed to have an answer at the ready without even needing to look up a solution path in his system. An email inquiry about the same problem was answered in just short of 18 hours, which is just around an average result in our book. Stellar Phoenix Windows Data Recovery Professional v7 is a solid option for anyone who has accidentally deleted important files off a hard drive, but may not be thorough enough for anyone who’s trying to recover after a deep format. The quick scan options was speedy and efficient for both HDD and SSD scans, and didn’t take up a whole host of resources while the process was under way. The company’s technical support options were top notch, and for $99 flat you get a lot of features compared to the competition. 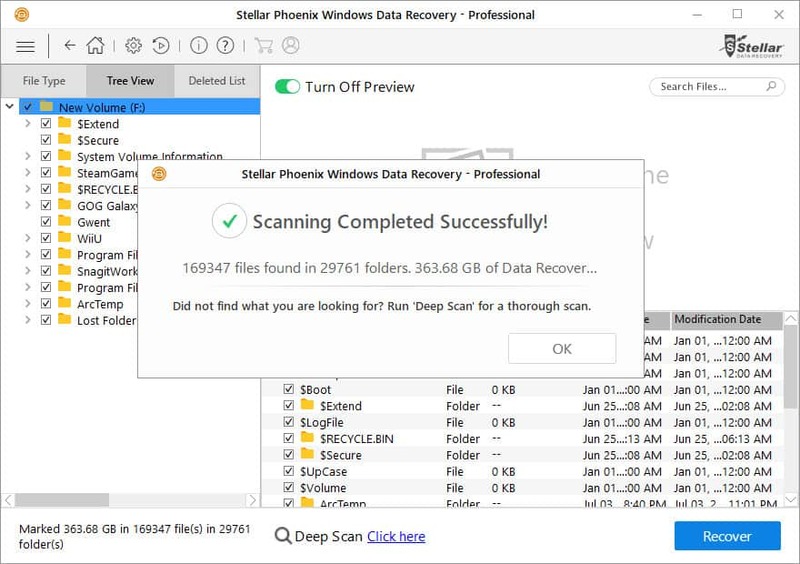 If you’re looking for a good starter data recovery option that can offer unique bonuses like Live File Previews and user friendly interface elements, then Stellar Phoenix Windows Data Recovery Professional v7 may be the right pick for you! I will strongly recommend for this Software. It helped me recover all data deleted because of Trojan virus. It took some time sorting through previously deleted and corrupt files. But with this tool, I was able to recover about 99% of my lost data. Thanks again. This software does not work, nor is it adapted to run on modern version of the mac OS X with APFS file system it simply retrieves compress files with unknown file extensions with the same size 10.5mb. I spent countless hours with Stellar support to try to find a solution. I have never dealt with a support line that is so poorly trained or has so much limited understanding of modern operating systems. I felt on more than one occasion as if I was having an intelligent conversation with SIRI early beta version. I am not saying that the latest version is brighter but at least superior to Stellar data recovery support line. After a few days and having finally lost patience, I requested a refund of a software that costed 120 euro and is frankly useless. The reply was the same please cooperate with our support line, another generic line with no real instructions on how or what is expected. Finally today I received a new mail with the same usual pointless paragraph and a link to their website refund-policy. It seems to recover my money I must send them a written letter to their HQ in Gurgaon, India. If this is not the pinnacle of nonsense I have no idea what can remotely reach this level of non-professionalism. The point of the mail is as follows, I spent many years reading your online magazine and the opinion of the contributors has always been professional and reliable. I really would advise that you reconsider the number of stars that is given to this piece of software and clarify to other readers of your magazine the lack of professionalism, and the crooked approach that Stellar has taken to deal with the issue at hand. 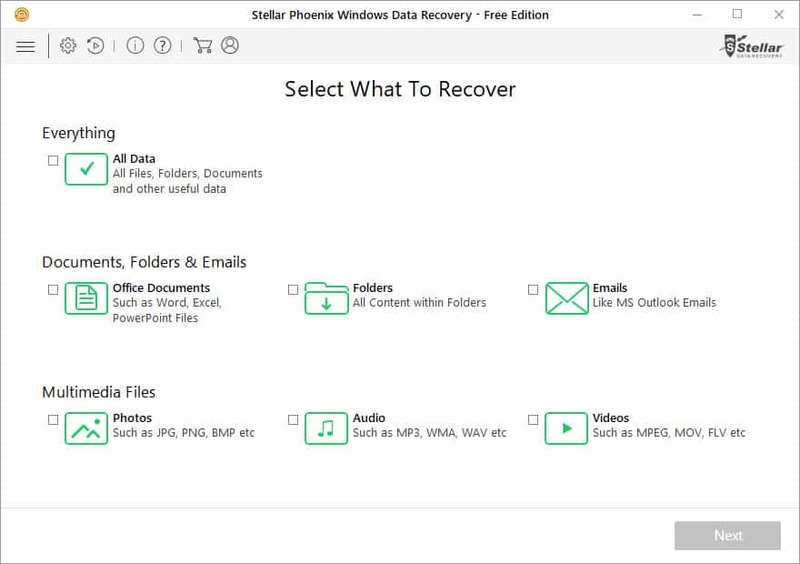 A must use software to recover the lost data.recently I have recovered all the lost files on my computer with the help of Stellar Phoenix Windows Data Recovery software.